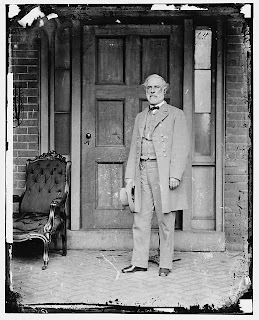 Was Confederate General Robert E. Lee Dead In This Photograph? I have seen this picture many times. 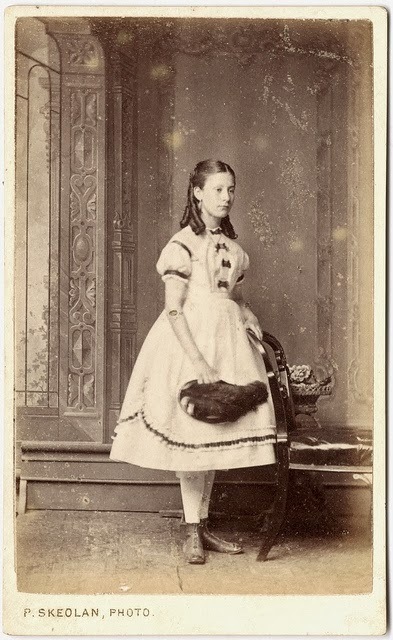 I love looking at old photographs, especially when it is of someone so famous. 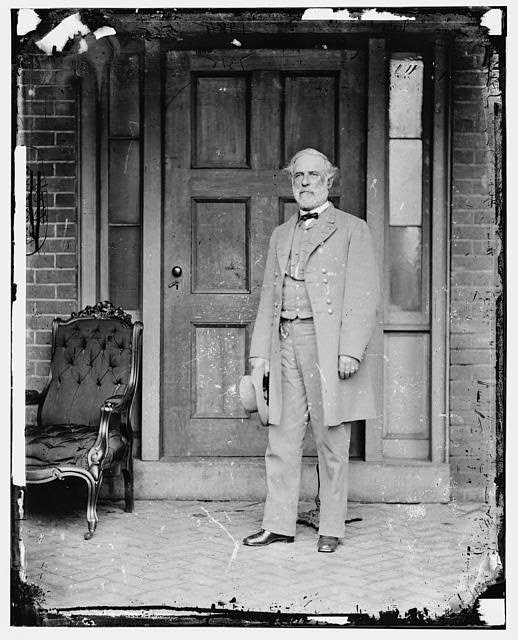 This is Robert E. Lee, the most famous Confederate General of the Civil War. There are many pictures of him out there. 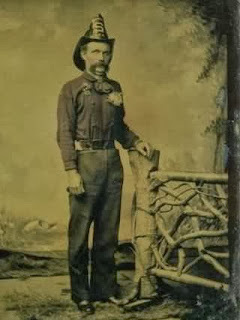 This is reported to be the last picture of him in his Civil War Uniform. I believe he was dead when this picture was taken.. You can see the stand behind his feet, also called a dead clamp, that may be holding him up. I can't say for sure about it, but his hands are also clamped shut, which is another tell tale sign. Opinions? I find this practice fascinating and I look at old pictures a lot more closely now than I did before. 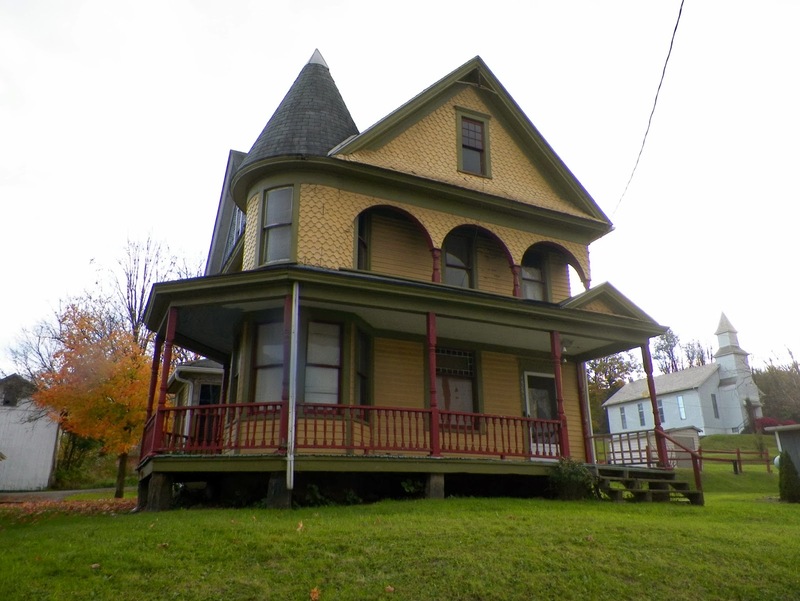 We will be having public investigations over the next three months at the Rogers House. It has its own ghosts for sure! 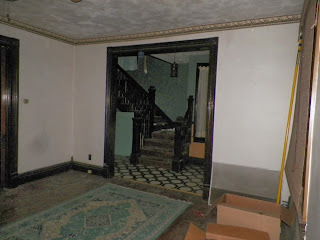 Starting in April we will be introducing different items into the house that may be haunted. We have the Lisbon Tree Baby Doll and we are working on getting the Coffin the East Liverpool Jaycees use in their haunted house. This coffin has been used to show those dearly departed that chose to be cremated. Dozens of the dead have laid in this coffin and it will be interesting to see if it is haunted in any way. Many people in the Jaycees feel it is! Were you ever one of the victims they laid in this coffin over the years? 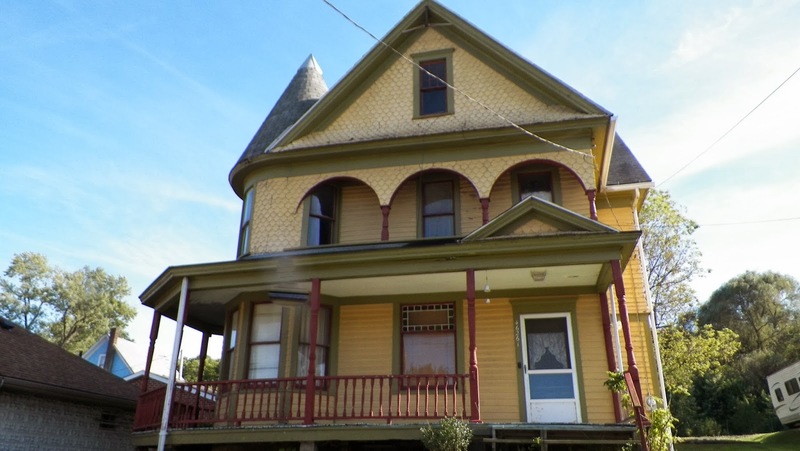 We are working to have the coffin from May through August for any teams investigating the Rogers House over the summer. We have some haunted furniture and jewelry coming as well and a few more haunted dolls. 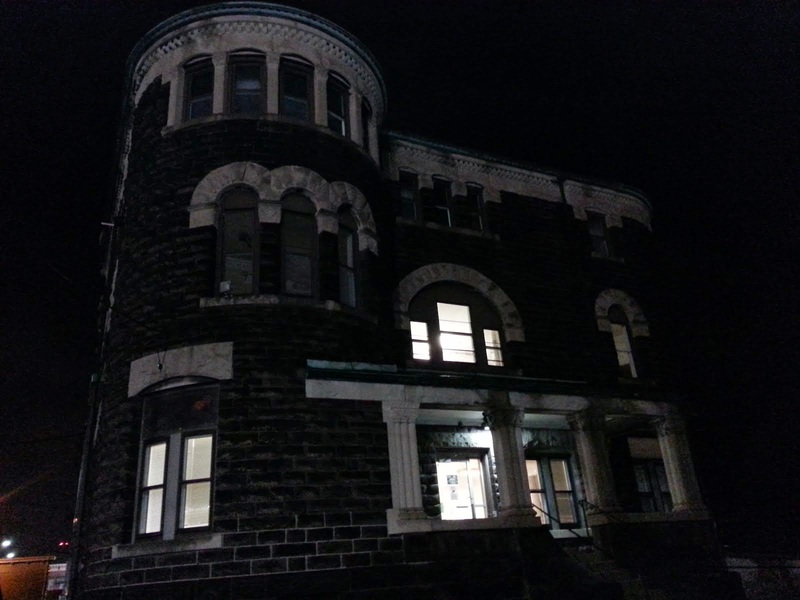 This will be your opportunity to investigate haunted objects as well as a haunted house. Expect the items to change about every 4 months. The public investigations are $25 per person and will run from 9pm to ???. The first public investigation is Jan 17 and 18. Be the first to investigate the house and have your picture hanging on the wall for all to see in the years to come. There will be a mirror room, a family death portrait room and Emily's room in the attic. to explore as well as the others. 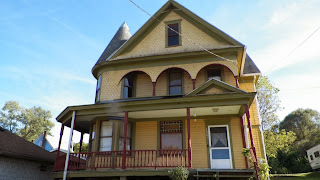 The house has a parlor, basement, kitchen, three rooms on the second floor and two rooms in the attic. 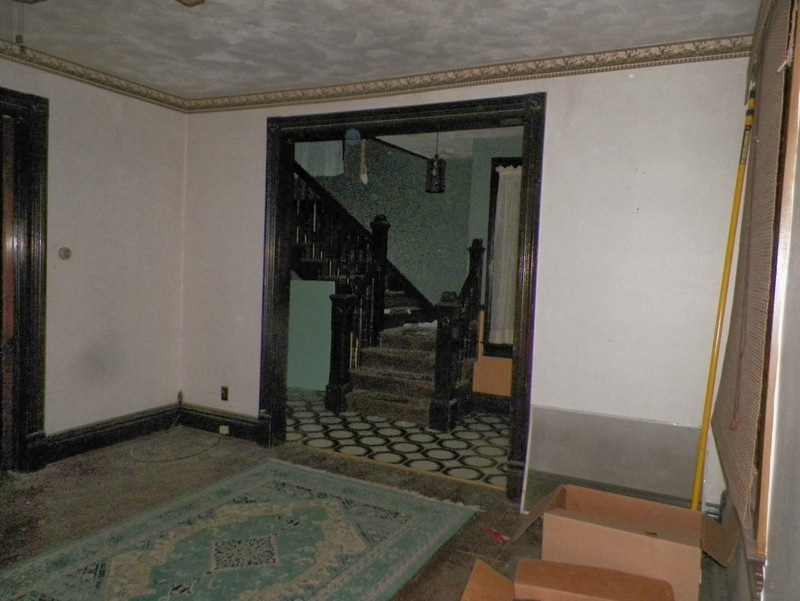 Come and investigate this house and discover who or what haunts it. Dates have been set for public investigations at the Rogers House! January 17 and 18 are the first nights! We will be accepting only 12 people per night. First come, first serve. Reservations are being accepted, with a call list in case there are no shows. The cost is $25 per person. The investigation starts at 9pm both nights and runs until ??? An Old Remedy For A Hex? My friend and crew member, Tracy, went with me one day to do some research in Salem. We were working on the Salem Witch Trial of 1894. She was busy looking through the old newspapers on microfilm from the 1890's and she found an interesting article. This article claimed that if you felt you had been hexed, the way to get rid of it was to not sweep your house for three days. At the end of the three days, sweep your entire house and carefully gather all the dirt into a pile outside. You then take a wooden or metal hammer and beat the dirt repeatedly until you are sure you have gotten every speck of dirt you swept from your home. This is said to make the witch that hexed you very ill and lifts the hex from you and your home. If you don't know what a hex is, that would be a spell or curse cast on someone with the intent to hurt them. So, if things are going wrong in your life, perhaps someone may have hexed you. It sure couldn't hurt to try the sweeping trick and see if it improves your luck! Down along the creek that runs through Lisbon, there is this old cut stone wall. 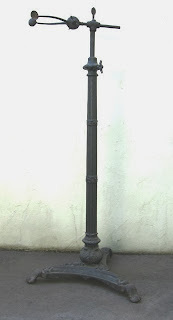 One of many things you might find from an earlier age in that area. I would like to know what it was. Ideally, it would be awesome if it was a part of one of the locks for the Sandy and Beaver Canal that followed that route. The creek was up a little, so there might be more of it visible than I saw on this day. 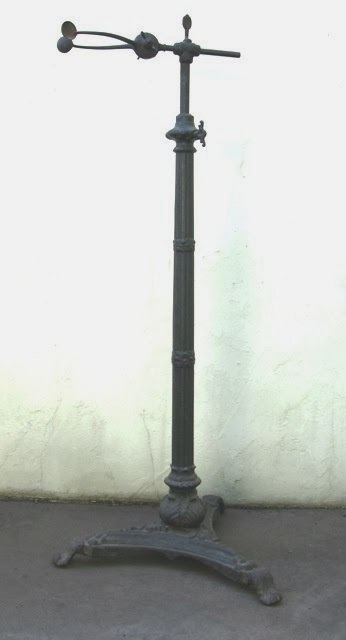 I am looking for information about it so if you know what it is or what it was used for, email me! A Train Trestle in Lisbon? Along East Washington Street in Lisbon, there used to be a pottery. It finally burned down a few years ago. I can remember going there when it was a flea market. It is a gravel pit now of some sort. Along the creek, however, you can see a cut stone pylon. It does not match anything that is there in the form of remains. So what is it? I thought it might have been a bridge abutment but when I asked around to some of the area residents, I was told it was the remains of an old train trestle. I am seeking more information about the remains of this old trestle. If you know anything, I would love to hear from you about it! 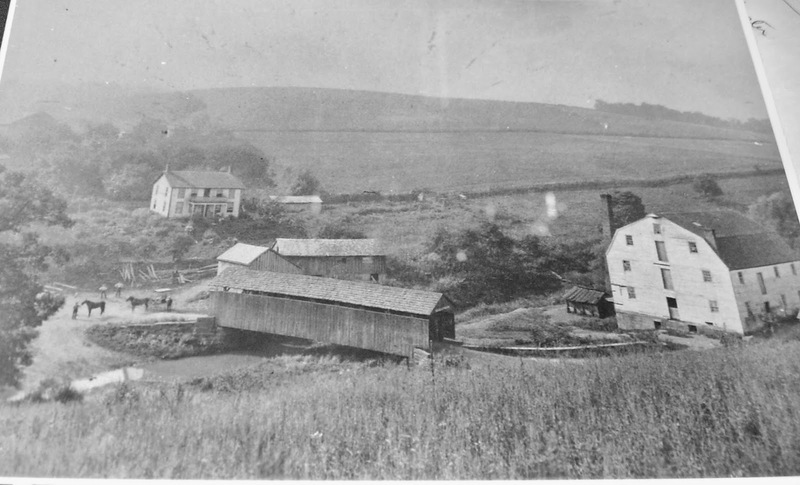 This is Cannons Mills in 1895. 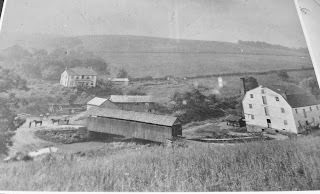 I had a hard time finding this spot, first of all because of the covered bridge, which is no longer there. Second, there are now so many trees in this area, it hides the lay of the land. I originally thought it was taken from the hill on Calcutta Smithferry. I got nowhere in that area so I eventually ended up down on Cannons Mills Road. There are two bridges relatively close to each other on this road and after exploring both, I was excited to find the remains of the old covered bridge! It is on both sides of this little creek where the orange bridge is today. Then I had to figure out what the angle was that the picture was taken. I think a road is now where that angle was. I ended up climbing the closest hill and took several shots from there. First, let me say I had a great time every trip G12P went on this year. 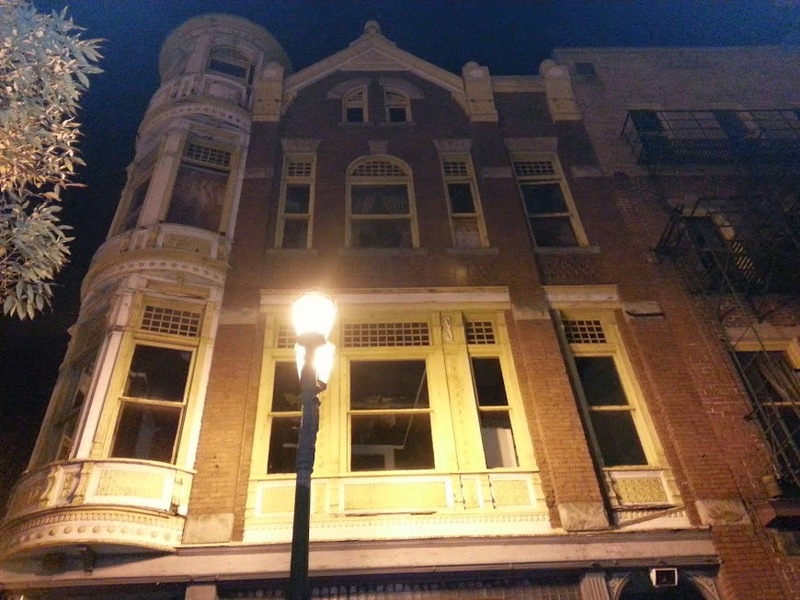 All four places we investigated were an awesome adventure and I highly recommend all of them to the ghost hunter or group looking to have an exciting time. That said, here is my opinion about each and how I rated them. Twin City Opera House was outstanding. We had access to nearly every room in the building. It took all night to explore it all and we did just that. We had a conversation with Everett Miller, who was an usher at the opera house for 30 years. He died in 1956. It was amazing and I look forward to going back. At a cost of $30 per person, it was well worth it. 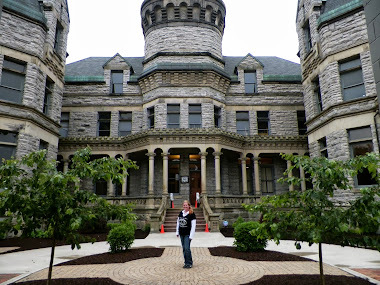 Mansfield Prison was the best time I had the entire year! The place is enormous and I know there are places we never got to see. 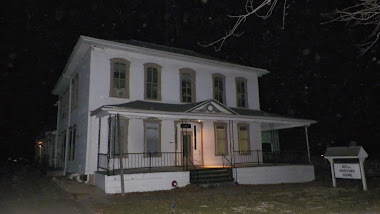 The most haunted area for us (it seems to be different for everyone who goes there) was the wardens quarters. We used a Mag light for the first time and it was a very successful experience we have since repeated in other investigations. I gave the whole adventure a 10 plus. Sadly, it is also the most expensive of our adventures. It is $80 per person, minimum. If you investigate during the week it is $1200 per night. During the weekend it is $2400 per night. You can take up to 100 people with you,, but it all breaks down to $80 per person no matter what. If you can't find enough people to go, it is, of course, more than that. Great adventure, but hard on the pocket. The Bell Nursing Home was just plain fun! There is plenty to investigate, old and new. Eerily, this nursing home closed during Christmas and you can still find "Merry Christmas" written on an old mirror. We got a lot of evidence here. 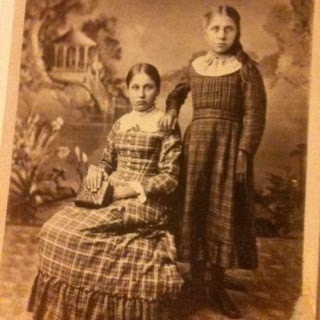 We also got the bonus of getting to investigate a room that held allegedly haunted dolls. We got no evidence from that, but the idea intrigues me! I loved it! Again, I look forward to going back at some point in the future. At a cost of $30 to $40 once again per person, it is a great adventure I highly recommend. Of the four adventures we went on, Prospect Place was the worst. It was fun, of course, but not what I expected. 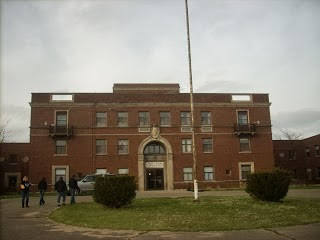 Ghost Adventures and TAPS both hunted here. In the ball room on the top floor is supposed to be the mouth of Hell. We got absolutely nothing in EVP. Amanda got a couple interesting pics in the basement, but that was it. Only half of the building is available to hunt. The barn is also available, but only the first floor. Friday and Saturday nights are $60 per person. Weeknights are $50 per person. Pricey considering the restrictions. Historically it is awesome, but we just didn't find much in ghostly activity to warrant the cost. I have no idea what happened to this persons face. I thought it might have been hair, but the person is facing sideways, so I don't think that is what it is. Looking for ideas, so if you have any, email me! Here is some added information. 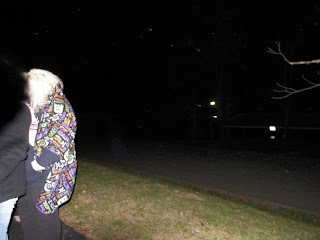 We were in Hope Cemetery when this picture was taken.